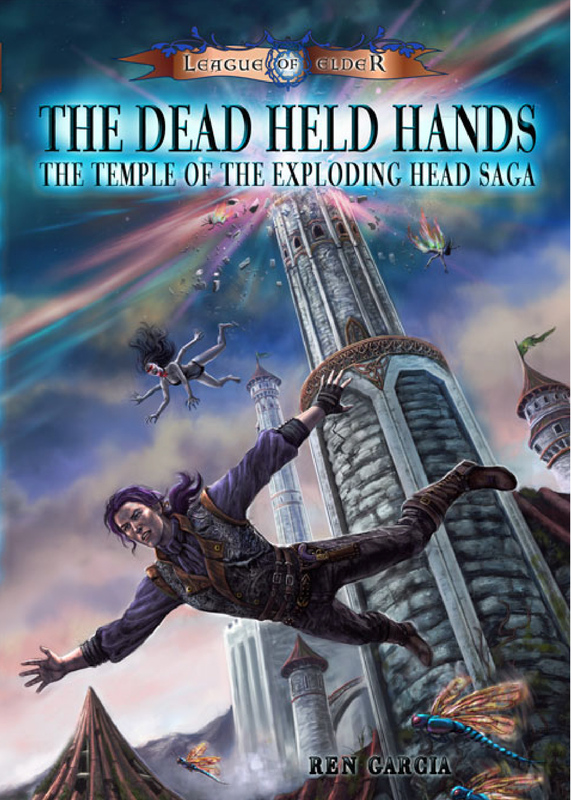 BOOK III–THE DEAD HELD HANDS The first in the Temple of the Exploding Head trilogy will be available for sale April 8 via Amazon, B&N and the Loconeal website where it can be purchased autographed. Standard retail price is $14.95. BOOKS I and II ARE NOW AVAILABLE VIA THE LOCONEAL IMPRINT. 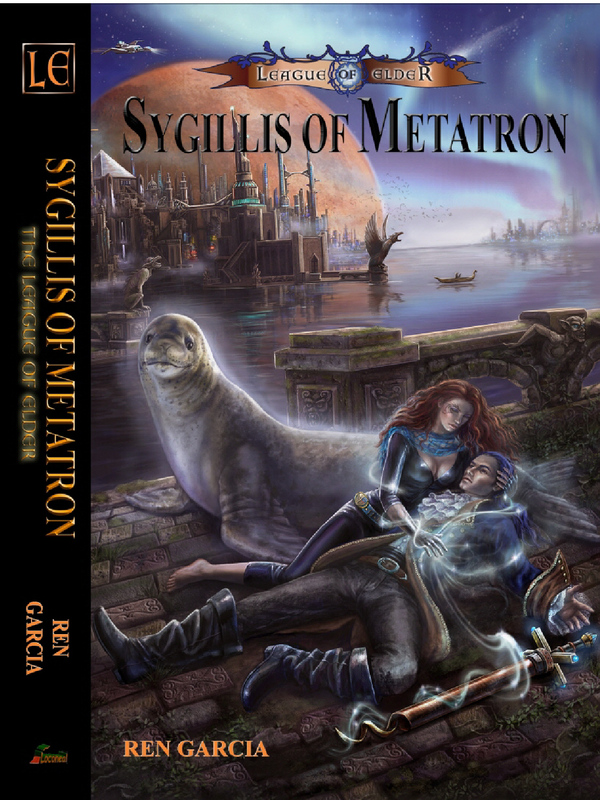 Book I, Sygillis of Metatron, features more maps and interior artwork. 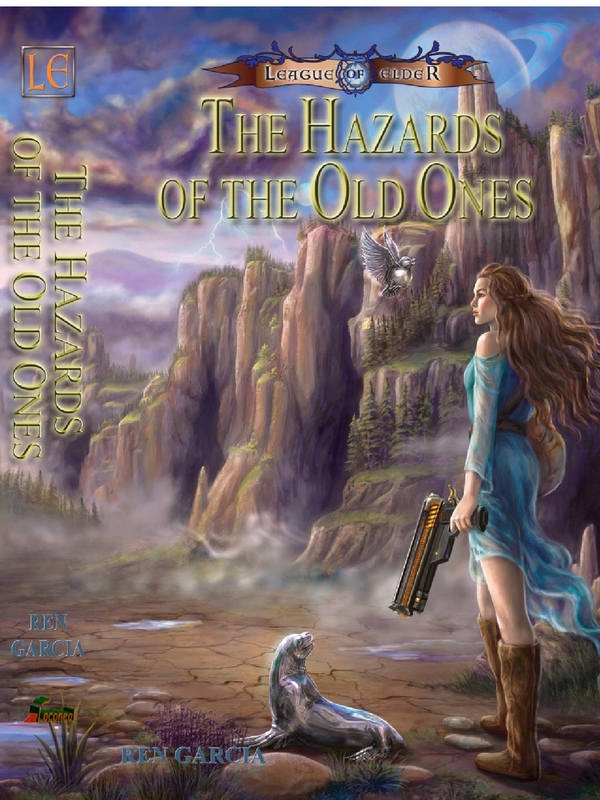 Book II, The Hazards of the Old Ones is fairly identical to its appearance in its first edition. Both books are also available at a much lower price of $18.95 at Amazon, B&N and the Loconeal website. BOOK IV: THE MACHINE. I’m competing the final proofing of the manuscript for Book IV. If all goes according to plan, there should be twenty-seven maps and interior pics from Carol Phillips, Fantasio and Justine Marie Hedman. Book IV is, without a doubt, my favorite book in the trilogy–I just love it, and I love the cover–it’s my favorite Carol Phillips creation yet. I also love the city of Waam, which is visited in the book. 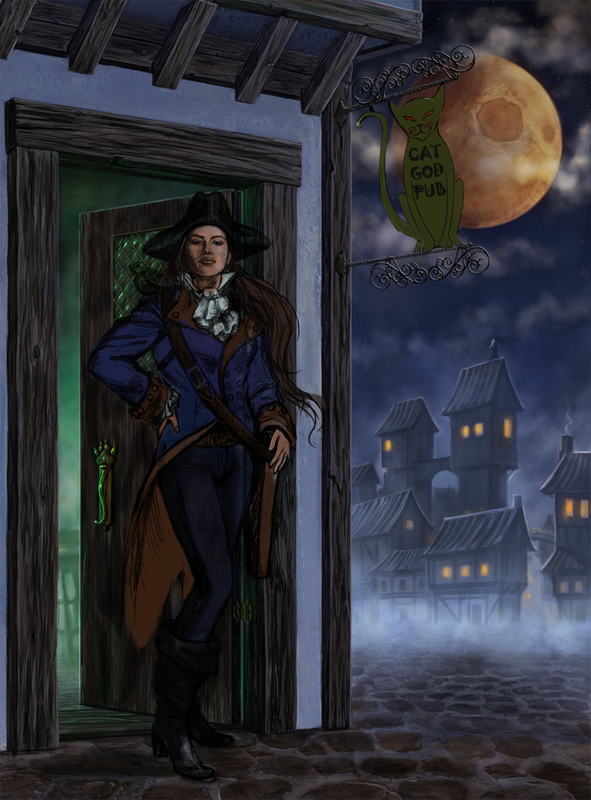 Waam is my version of Lankhmar–a ruddy place full of twisting streets and waiting adventure. I can’t wait to share it with you. The tentative release date for Book IV is June, 2011. 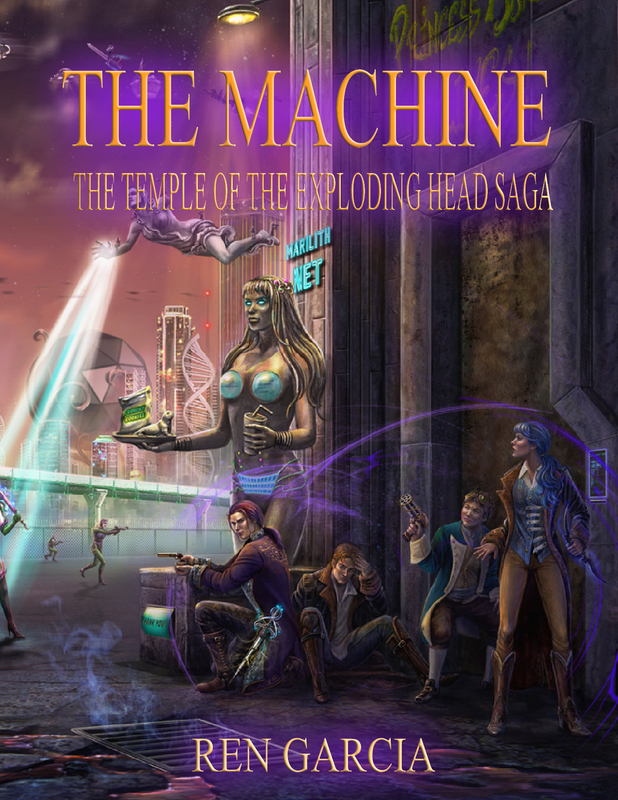 BOOK V–THE TEMPLE OF THE EXPLODING HEAD: I’m currently putting the finishing touches to the Book V manuscript. 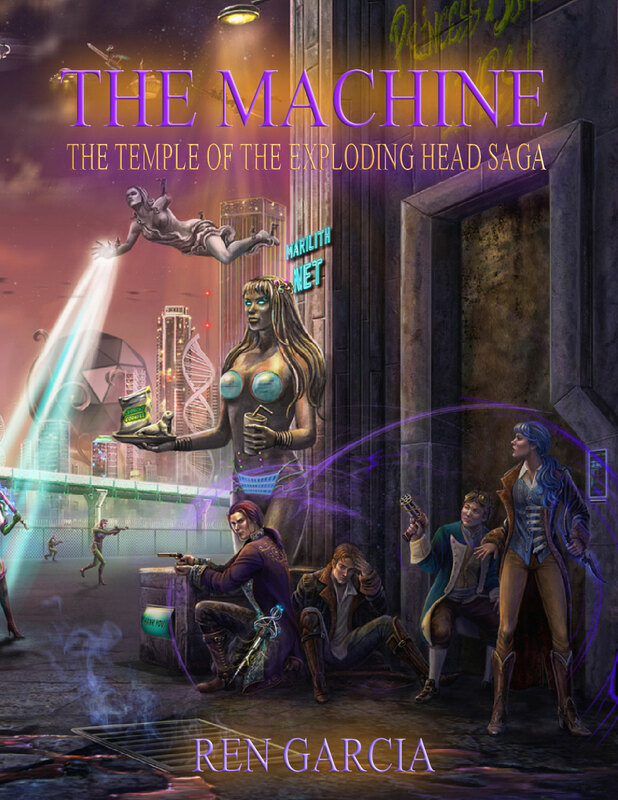 Book V is the exciting conclusion to the Temple of the Exploding Head trilogy. We haven’t started the cover yet for this, but I know what it’s going to be–It’ll be awesome, trust me. Tentative release date for Book V–November 2011. PRIMER OF THE LEAGUE OF ELDER: As soon as the trilogy is in the books (as it were), we’ll be cranking out a full color LoE glossary packed with maps, charts, graphs and artwork. It should be ready somewhere after the first of the year. 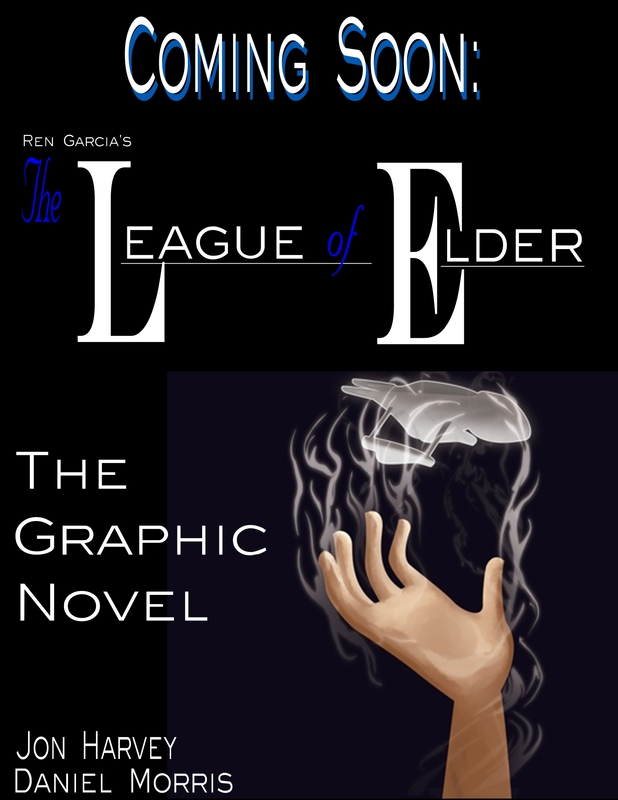 THE LOE GRAPHIC NOVEL: I’ve actually seen art and scripting for the upcoming LoE Graphic novel, so I know it exists. Daniel Morris and Jon Harvey are working hard, and I just know they’ll have it ready before the year’s out. If not, I’ve got a nice secluded spot picked out where I’ll be dumping their dead bodies. THE MUCHACHO: The summer show season is nearly here and I can’t wait. Lemme’ at `em! I’ve got my updated table rig ready to go. I’ve learned a lot about book marketing from last year to this one and that accumulation of smarts should pay off. 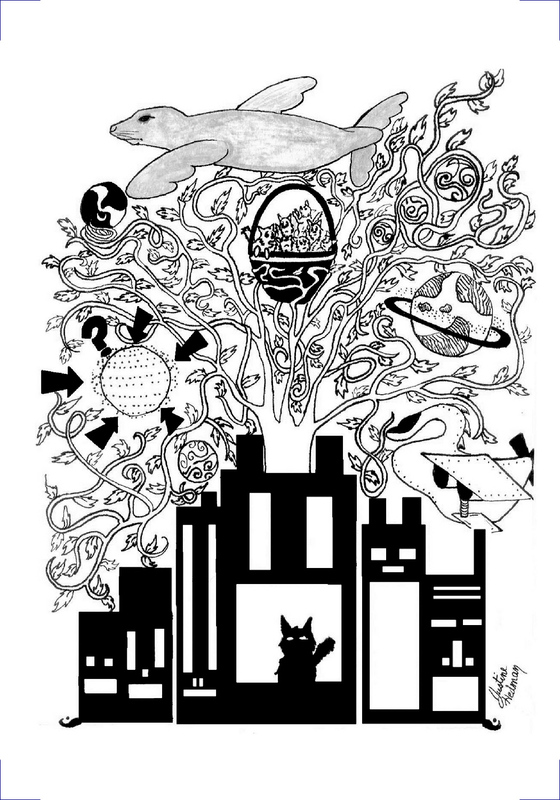 THE CELESTIAL ARBORIUM is a mystical and poorly understood assemblage of powerful beings who have tasked themselves with maintaining the well-being and orderly flow of the Universe. They gather at the metaphorical “Top of the Universe” and watch over the doings of the “Younger Folk.” They often characterize the Universe as a vast growing tree nestling the galaxies, stars and planets in its vine-like branches. Members of the order are often referred to as “gods”. Members of the Arborium are made up of powerful, outworldly beings. Any being that can successfully pass the poorly understood Criteria of Deuum may join. Usual members are made up of Elemental Spirits, Djinn, Wind-Walkers and Nargals. The Great Elemental Spirit Bathloxi is a preeminent member and giver of laws, as well as Mincoil, Anabrax, and Carahil. Notable Djinn in the order are Maiax and Bar-Igura and Ibilex. The cat-god Mabsornath is a powerful Windwalker. 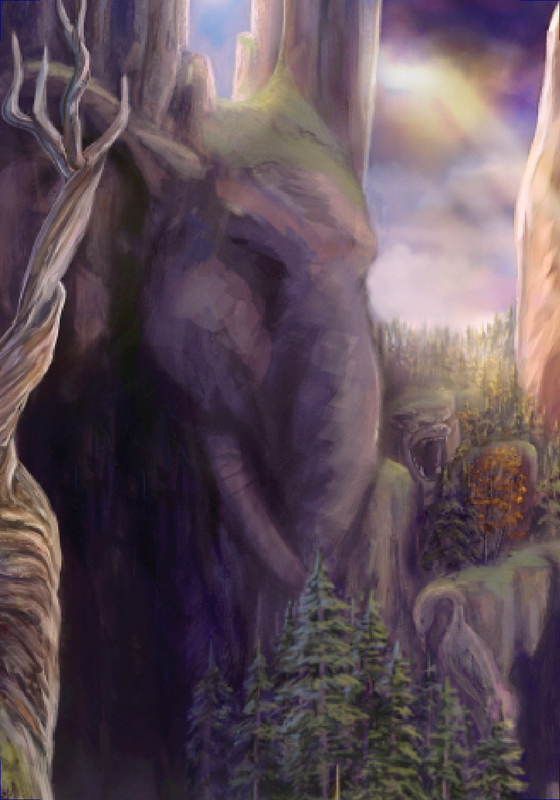 Regardless of their origination, the gods of the Arborium always appear as various types of common animals. The members of the Arborium have the ability to see the future and may or may not take steps to avert a future they do not like. Involving themselves in such things is dangerous, as upsetting the Universal Balance is a sure way to bring about tragedy, as with the infamous Death of the Bodice tragedy caused by the Djinn Maiax, which led to the painful extinction of the Bodice and the fall of Maiax as a demon. Therefore, members of the Arborium are careful not to use their vast power too much. Demons are considered to be Arborium Members who have abused their power or swung the balance in one direction or another. Demonic power is invariably destructive and can lead to no good end. Maiax became a demon after he caused the death of the Bodice. The Windage of Kind is the “hell of the gods”. It has been described as a gloomy set of industrial buildings at the bottom of the Universal Tree. Members of the celestial Arborium who break the by-laws of the group are sent there, often times for millennia. Those imprisoned within are often seen gazing red-eyed through the many dark windows of the place. Occasionally those held there are pardoned or forgiven and receive a second chance and are released. All of the members of the Celestial Arborium have a Secret-Talker, a person whom they share all of their secrets. The Secret-Talker is a method the gods use to consolidate their power with the universe, and to police each other, as, in theory, if a member commits an offense then it will be made known through the Secret-Talker, however, in practice, the gods go to great lengths to hide and mystically protect their Secret-Talkers. The gods are not allowed to directly accost or engage another’s Secret-Talker, a member of the younger folk must do it, often at the direction and peril of the gods themselves. 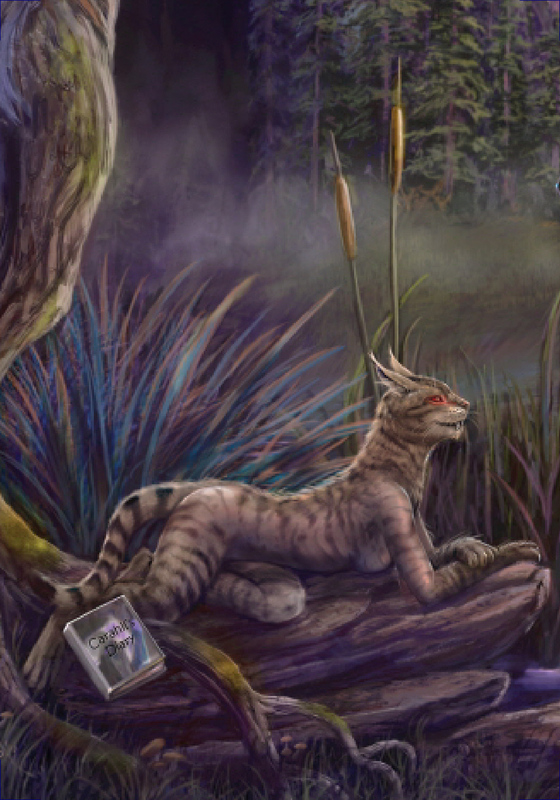 Carahil’s Secret-Talker is Mabsornath–a Wind-Walker who is also a member of the Arborium. Whew! Spent a long three days at Millennicon in Cincinnati. 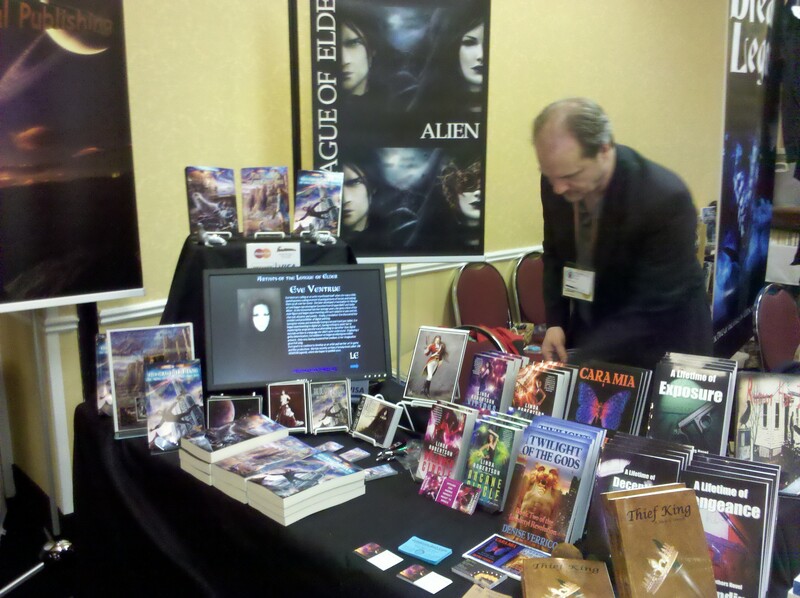 It was a great show: sold some books, made some new friends–lots of fun. I met the incredible Stephen Zimmer, author and filmmaker, and plan to hit a few shows with him this summer. There was also the amazing duo of T.R. Chowdhury and T.M. Crim of The Shadow Over Shandahar series (who are joining me in the Loconeal fold–Welcome guys!) Can’t wait to hit the circuit! Of all the wacky events I attend, the craft shows and bake shows, yard sales and pretty much any place I can set up a table, conventions are by far the hardest to attract buyers. People there are often on a mission for a certain kind of book, either by genre or author, and aren’t really interested in looking for anything else. 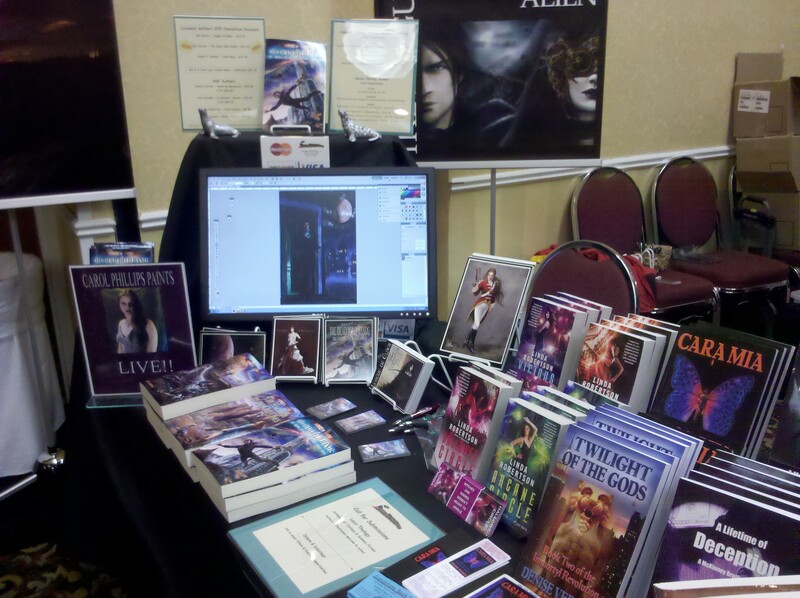 Also, there’s lots of competition from other authors who are sharing space with you on the floor. Still, perseverance will win out in the end and if you’re tough and do plenty of smiling, you’ll come home with fewer books than you brought with you. At this convention we had Wi-Fi access and were able to get Carol Phillips, the Queen of the LoE Universe, to do several live paints. I dragged her out of her warm bed on the west coast to work on an illustration and she didn’t disappoint. We beamed her in via web conference and away she went, pulling and dragging, picking up color and causing an attendee at the Con to lose his heart (“She’s a Goddess,” he said). 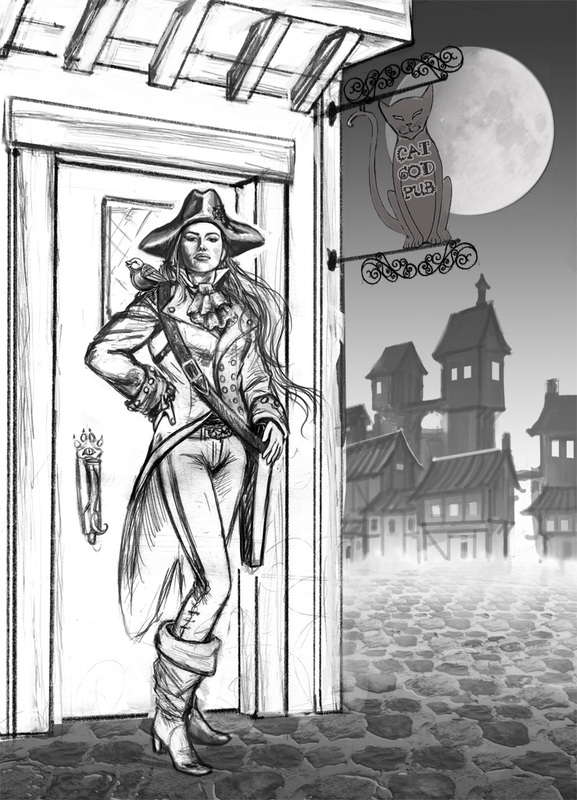 She started off with a flat sketch of Lt Kilos and Tweeter standing in front of the mysterious Cat God Pub in Blanchefort Village. Then, live before our unworthy eyes, the painting took shape, first the background and then the foreground. Due to a scheduling snafu on my part, Carol couldn’t quite finish the pic, but she’s getting close. She knocked in the cobbles and added texture to the village in the background, rolled in some fog and added the “Octagon” to Elyria (the moon). She really wanted to have it finished before the Con ended, but that’s how life goes. People had various questions for her–mostly regarding layers, as Carol has over a hundred created for this painting and only very few of them are labelled. Next time, we’ll have to mic her up so she can talk as well as paint. 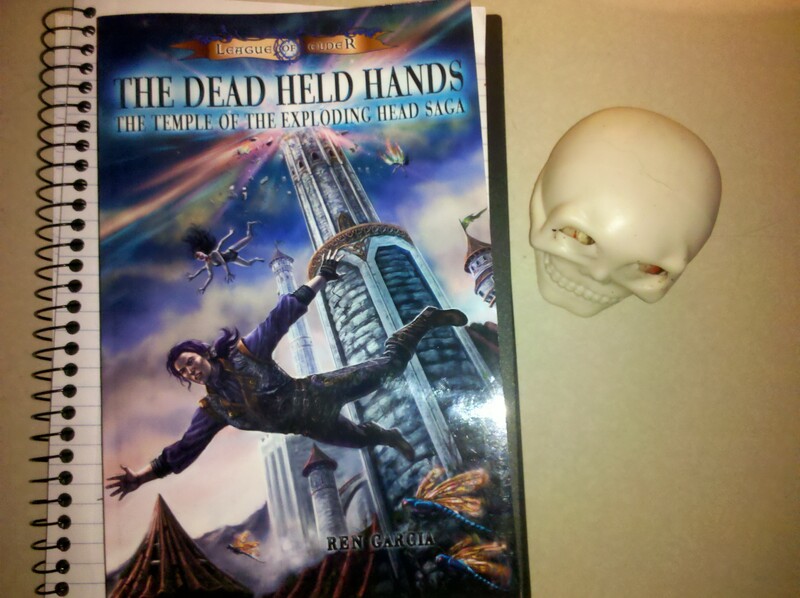 I’ll be attending Millennicon in Cincinnati this weekend, March 18, 19 and 20 with Loconeal Publishing, signing books and promoting the release of Book III, The Dead Held Hands. One of the things we’ll be doing is a Live Paint. Artist Carol Phillips will be working on this unfinished pic of Lt. Kilos standing in front of the elusive Cat God Pub, via Wi-Fi and a 17 inch monitor. She’ll even take questions via text while she’s working. It should be lots of fun. Come and see us at Millennicon. Books I & II in the LOE series are being re-published by Loconeal Publishing. Book I: Sygillis of Metatron: Go back to where it all began with the original LoE book: Sygillis of Metatron. Meet Captain Davage, Lt. Kilos, Ennez the Hospitaler and the deadly Black Hat Sygillis of Metatron. The Loconeal edition of the book features more maps and interior art by Carol Phillips, Eve Ventrue and Bea Matarredona-Garcia. When Captain Davage does the unthinkable and refuses to allow the Sisterhood of Light to execute a captured Black Hat, he places his soul in grave danger. 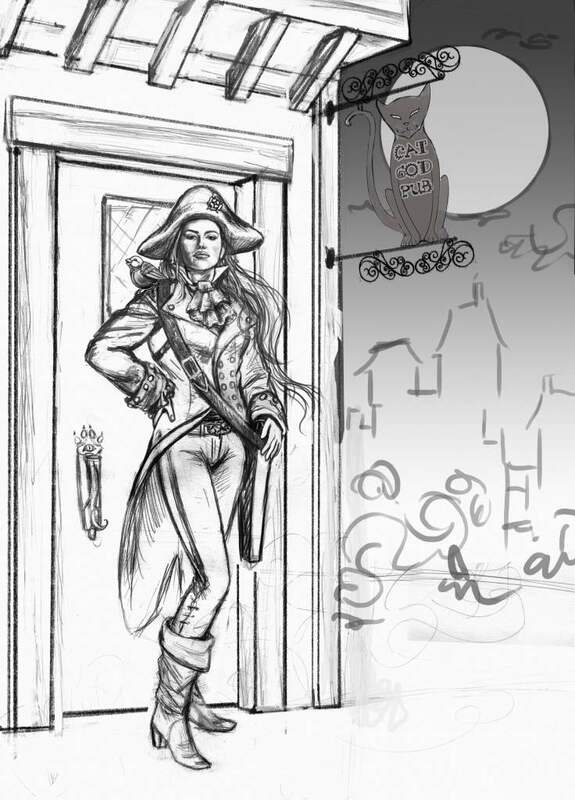 The Black Hat, Sygillis of Metatron, notorious in the League for killing an entire squadron of Marines by herself, sits in her cell and dreams of killing the captain. When the Elemental Spirit Carahil foresees the death of an entire world, he places his soul, and those of the people he loves most, at risk to save it. As Carahil is about to learn, the greatest hazard of being one of the Older Folk is to care too much. Hell awaits should he fail. CAROL PHILLIPS has finished the cover to Book VI, The Machine. It looks wonderful. I’ve tentatively lettered the cover and wanted to share it. I’m certain the lettering and colors will change–just a few musings. This cover is crawling with a lot of things I’ve always wanted to incorporate in past covers but couldn’t. I love cityscapes. The Book I cover had a cityscape, but that one was the dead city of Metatron. This one is the vibrant, living city of Waam full of the bizarre (like the Princess Marilith vending machine). I also wanted to see Kay, his cousins Sarah and Phillip and Lord Lon–finally from my head to full paint. The Bondarunga aspect is clear with all the weird-looking buildings and vehicles floating about. The flying statue with the Spectres standing on it is a classic Bondarunga vehicle–and, by the way, you’d never get me to ride on one of those snorting beasts.